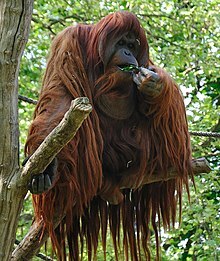 The name "orangutan" (also written orang-utan, orang utan, orangutang, and ourang-outang) is derived from the Malay and Indonesian words orang meaning "person" and hutan meaning "forest", thus "person of the forest". The word was first attested in English in 1691 in the form orang-outang, and variants with -ng are found in many languages. This spelling (and pronunciation) has remained in use in English up to the present, but has come to be regarded as incorrect. The loss of "h" in Utan and the shift from n to -ng has been taken to suggest that the term entered English through Portuguese. 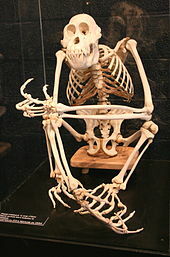 In 1869, the British naturalist Alfred Russel Wallace, published his account of Malaysia's wildlife: The Malay Archipelago: The Land of the Orang-Utan and the Bird of Paradise.